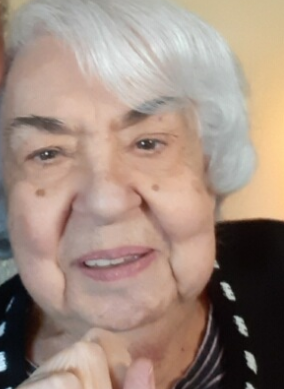 Obituary for Jane M. Humes | Williams-Pedersen Funeral Home, Inc.
UPTON- Jane M. Humes, 84, of Upton, passed away peacefully on Thursday, January 17, 2019 at the Blaire House in Milford. She was the wife of the late Robert C. Humes Sr.
Born in Milford, she was the daughter of the late Alfred and Ida (Ghetti) Leger. She was raised in Milford and was a 1951 graduate of Milford High School. Jane was employed as a Telephone Operator for many years with New England Telephone prior to her retirement. Jane has been a resident of Upton since 1957. She enjoyed classical music and antiques. Jane is survived by three children, Debora LeBlanc and her husband, Richard, of West Boylston, Donna Humes of Upton and Robert Humes, Jr., and companion, Dawn Foley, of Upton; one brother, Alfred Leger, Jr., and his wife, Jan, of Florida: two grandchildren, Jennifer LeBlanc and Gavin Humes and many nieces and nephews. She was predeceased by a daughter, Patricia Humes and a brother, Robert Leger. Her funeral service will be held on Wednesday, January 23, at 10:00 A.M. in the Williams-Pedersen Funeral Home, Inc., 45 Main St., Upton. Burial will follow in Lakeview Cemetery. Calling hours at the funeral home are Tuesday, January 22, from 4 to 7 P.M.